A couple of weeks ago I did a review of Klorane's wonderful Abyssinia Oil Shampoo and Conditioner and their Dry Shampoo. Today I am going to review a couple of their skincare products, Smoothing and Relaxing Patches and BB Eye Cream. I love Klorane and every product I have ever tried from this brand. I think you will too. 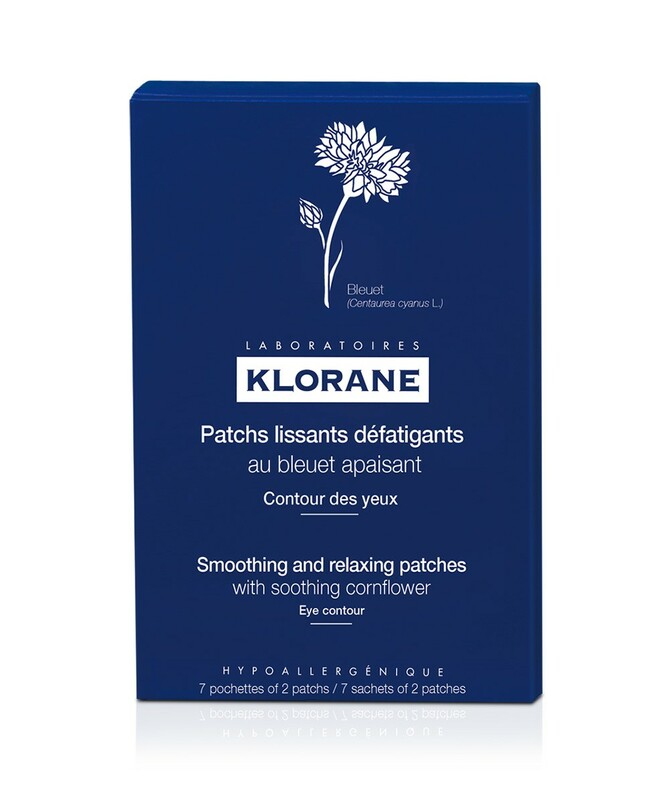 Klorane Smoothing and Relaxing Patches with Cornflower are used on the eye area to soothe and soften skin around the eye. They refresh, moisturize and brighten the eye area. The patches also help to reduce puffiness and smooth away lines in the eye area. They are hypoallergenic, ophthalmologist and dermatologist tested. The patches do not contain sodium chloride, silicone or sulfates. The main ingredient is cornflower, which for centuries has been known for its soothing, softening and anti-inflammatory qualities. Grown exclusively in France, the cornflower is harvested during full blossom. The patches can be placed in the refrigerator to enhance the refreshing effects. They also contain decongesting arnica and soothing chamomile. They reduce the signs of fatigue and instantly soothe and refresh the eyes. They also lighten the area under the eyes, as well as reduce dark circles and bags around the eyes. To use, apply directly to eye area and leave on for 20 minutes. Can be used as a 7-day treatment for a long-term smoothing effect. I find these patches to be wonderful. They instantly refresh, cool and soothe the eye area. I love how they brighten the eyes, lighten up dark circles and moisturize the under eye area too. I think the combination of the cornflower, arnica and chamomile is a winning combination. ophthalmological and dermatological control. It has been formulated to minimize the risks of allergy. This product is paraben-free and phenoxyethanol-free. 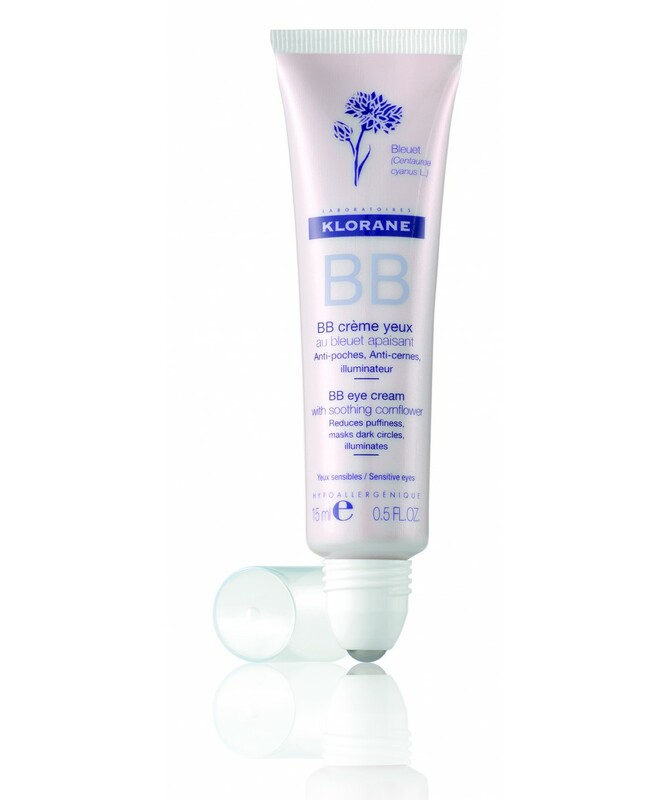 To use: apply in the morning or evening on the eye contour, following the Klorane massage. I use this in the mornings instead of a concealer, since my dark circles are not that bad. I find that it works well as a concealer, since it lightens and brightens the under eye area. It illuminates the eye and makes it look bright and beautiful. Dark circles actually start to fade away with use. Puffiness is minimized and if you use the Klorane massage, puffiness will stay away. Both of these products can be purchased online at www.kloraneusa.com. It's also available online at SEPHORA, Birchbox, Beautyhabit, Net-A-Porter.com, www.soap.com and www.skinstore.com and Lovely Skin. Like Klorane on Facebook: https://www.facebook.com/kloraneusa; Follow Klorane on Twitter:@kloraneusa; Follow Klorane on Pinterest:https://www.pinterest.com/kloraneusa/; Folllow Klorane on Instagram:https://www.instagram.com/kloraneusa/ and Subscribe to Klorane on YouTube:https://www.youtube.com/user/kloraneusa.